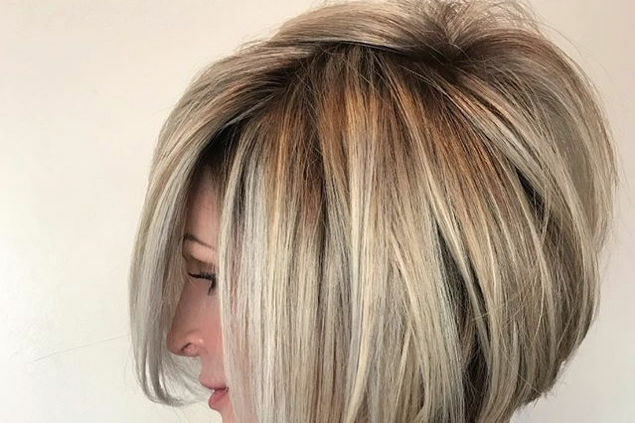 The lob, or long bob, haircut has been popular for a few years, and it shows no signs of slowing down. It’s easy to see why the lob has reigned over trendy haircuts season to season. It’s not too short, not too long, and it really does look good on everyone. A lob should hit somewhere above the shoulders but below the chin, and if you have long layers, it might graze the tops of your shoulders. 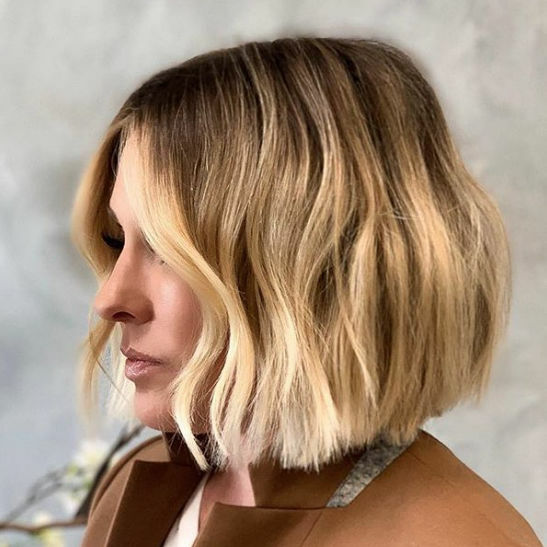 Bobs that hit right at the chin can be limiting for round faces, and hair that’s super long isn’t ideal for diamond-shaped faces, but the lob is the happiest, trendiest medium of all the haircuts, and it flatters every shape. When trying to decide what cut will flatter your face shape, one of the most important factors to consider is where you part your hair. While we can’t all pull off a middle part quite like the celebrities, one thing is true: Side parts are universally flattering. Whether you part just to the side or opt for a deep side part, keeping it to one side is key to a universally flattering part. Here are some options to mix up your long bob haircut that will flatter any face shape. A deep side part works with any face shape, and big, tumbling curls will soften a square or diamond face shape. Sombré, or subtle ombré, is a new technique that seamlessly blends lighter and darker colors. These barely-there highlights are perfect for spring and summer. Because too many layers can overwhelm a slimmer face and add width to wider faces, any face shape can benefit from a simple one-length cut. Blunt ends are popular right now, and the fresh-faced, modern feel of a blunt cut might be the spring cleanup your hair needs. If you haven’t heard, there’s a modern shag haircut taking over salons, and lucky for us, anyone can rock it. Long, shaggy fringe will slim round faces and soften sharper face shapes. A cut that’s slightly longer in the front than the back will bring the eyes forward and slim the face. A simple tweak like this can make a big impact without an entirely new cut, and it’s easy to grow out. If you have thin hair, adding some stacked layers will give you a little oomph. Keeping a side part will flatter any face shape, but adjust the amount of layers to fit yours. If you have a slimmer face, you can add more layers and volume, but rounder faces should stick to long layers for a lengthening effect. Romantic, vintage, and endlessly flattering, curled-under styles are making a comeback. This look works best on hair that’s all one length and naturally medium to thick. Side-swept bangs will work with any face shape, but be sure to pick a length that works with your lifestyle. If you need a ponytail for exercise, request longer fringe that you can pull back. Be sure to have a slight, not too deep, side part with this look, as you don’t want to get into comb-over territory. We know it might sound crazy, but brushed back looks work on every face shape. A sleek ponytail will slim a round face, and a slicked back down look will show off a heart-shaped face’s cheekbones. 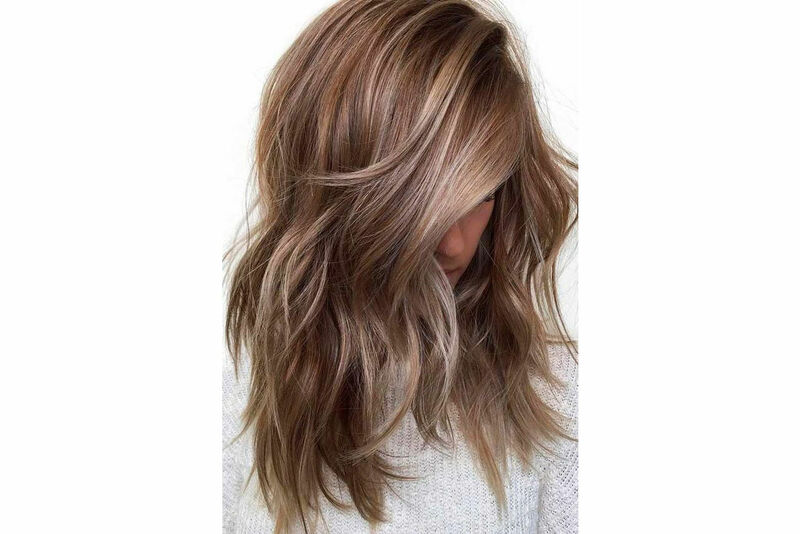 If you’re already working the lob but need an update, balayage is the color job for you. The hand-painted technique ensures the most seamless, natural looking highlights. 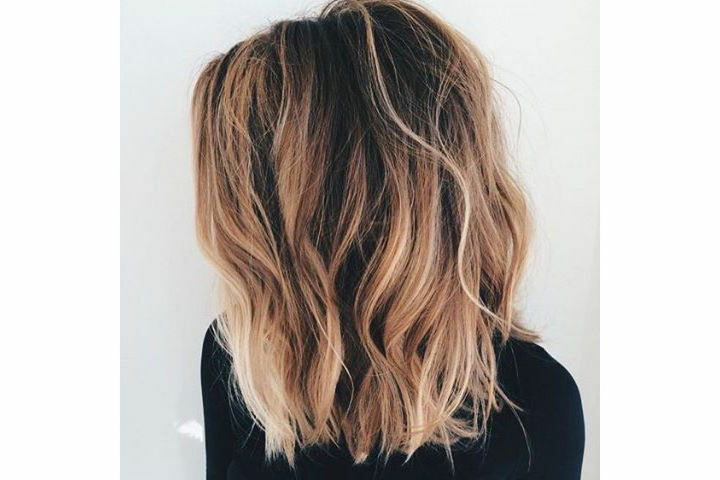 Balayage can add depth and texture to any lob (on any face shape), especially one with a few long layers.